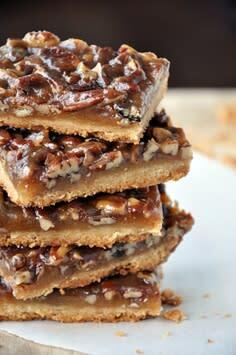 Pecan. I know we have all had the discussion on how to say this word. So let&apos;s all take a moment to look at and say all the variations of this word (while you&apos;re doing this, click the U.S. map I found showing how the different regions pronounce it...who knew some Northern states say it the same way as Johnston County). Being born and raised in Johnston County, I use "PEE-can", drawing out the "E" a little more than necessary. But no matter how we differ in our pronunciations, I think we can definitely agree that pecans are delicious. They add just the right amount of crunch or provide that finishing flavor that many dishes use. With Fall&apos;s arrival, I have seen (and felt) the ones in the yard that have fallen off the tree. With the holidays coming up quickly I have also noticed them in the front of grocery stores and farmers markets all over. If you are looking for a local business in Johnston County to find pecans, check out Braxton Pecan Company in Princeton, NC. They have all your pecan needs. From in-shell and shelled to cracking and shelling services for the public to trees and harvesting equipment, they are the place to shop at. If you can&apos;t make it out to Princeton, take a look at a local farmers market such as the Clayton Farm and Community Market in Clayton, NC. 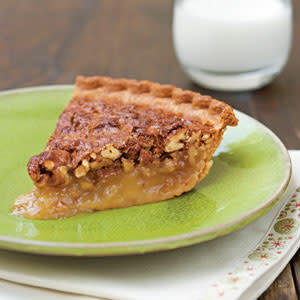 To celebrate pecan season arriving, here is the recipe for a Southern classic-- Pecan Pie! This a great dish for any get together or reunion. Oh...and don&apos;t expect to have leftovers. There are more recipes to be enjoyed here or check out our facebook and pinterest pages.